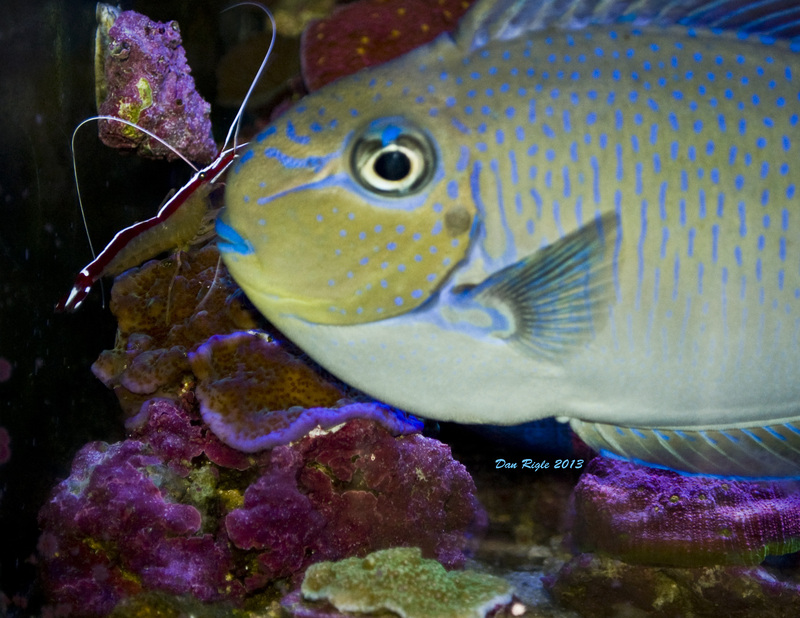 This large Naso vlamingi surgeon fish is enjoying a good cleaning from this cleaner shrimp (Lysmata amboinensis). 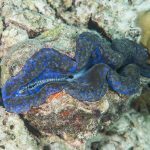 Employing natural forms of parasite control in a reef aquarium is a necessity, and will many times prevent disease and parasites from becoming a problem and gaining foothold. 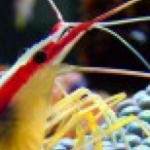 The use of natural predators for parasites such as cleaner shrimp can be the difference between life and death of your prized fish. 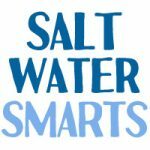 A commonly used medication for fish only aquariums contains copper which is deadly in very low concentrations to corals, invertebrates, and microbial life and can not be utilized in a coral reef bio type aquarium. 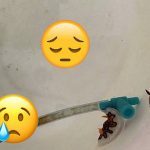 Although I have seen products advertised to be safe in a reef aquarium, I have not found any that were effective at parasite eradication without compromising the health of the eco system. 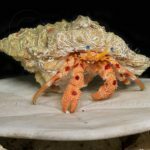 Many will have antibiotics or other medicines that have a long term negative effect on water quality and coral health. 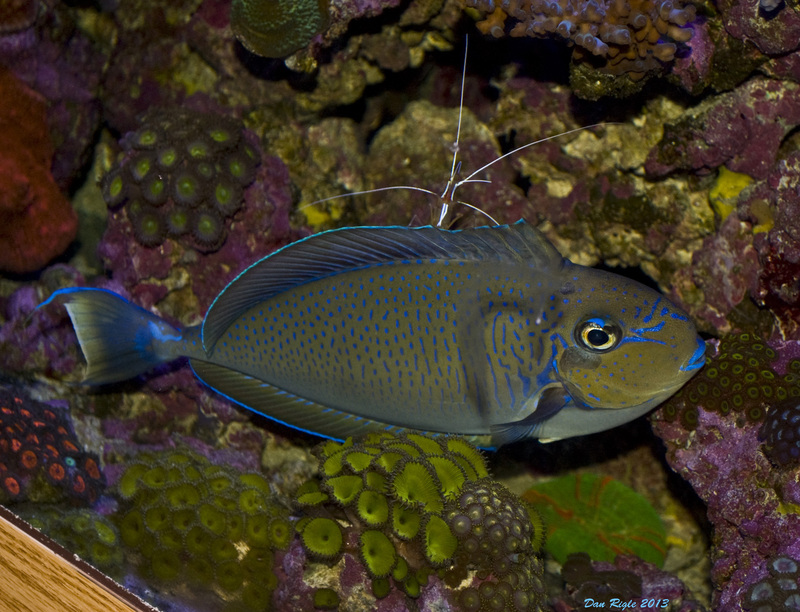 The safest method for controlling fish parasites in a reef aquarium may still be the utilization of natural forms of predation.